ÃƒÂ¢Ã¢â€šÂ¬Ã‚Â? 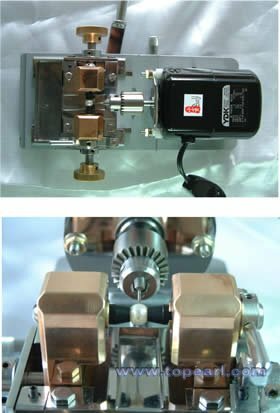 This machine can be used for accurate holing on such precious stone as pearl, coral, amber and ornaments components such as gold, silver and copper. ÃƒÂ¢Ã¢â€šÂ¬Ã‚Â? This machine is equipped with 9 sets of special collects, which is suitable to the pearls in round shape, olive shape and un-regular shapes or special shapes. ÃƒÂ¢Ã¢â€šÂ¬Ã‚Â? The collection of this machine is made from nylon, which is prevented pearl from being mingled with damaged and scar. ÃƒÂ¢Ã¢â€šÂ¬Ã‚Â? 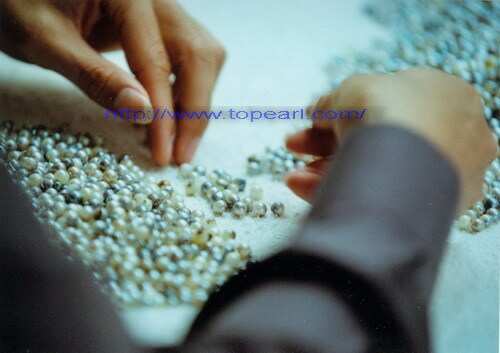 Can be made a hole on pearls of various specifications fromÃƒÂÃ‚Â¤3-ÃƒÂÃ‚Â¤25mm (including fresh water pearl, seawater pearl, South Sea pearl, Tahiti black pearl ,Pearl shell, coral and amber etc). ÃƒÂ¢Ã¢â€šÂ¬Ã‚Â? Fitted with ÃƒÂÃ‚Â¤0.6-ÃƒÂÃ‚Â¤1.2mm special steel drilling needle for holing pearl. ÃƒÂ¢Ã¢â€šÂ¬Ã‚Â? Holing depth can be regulated and adjustment. ÃƒÂ¢Ã¢â€šÂ¬Ã‚Â? Equipped with pedal switch-controlled motor, easy and highly efficient. ÃƒÂ¢Ã¢â€šÂ¬Ã‚Â? Fitted with power-assisted handle device, efficacy and convenient in use. ÃƒÂ¢Ã¢â€šÂ¬Ã‚Â? Equipped with 1 grinding needle head, which can grind holing needle at any time. ÃƒÂ¢Ã¢â€šÂ¬Ã‚Â? There is a dust-falling hole at the bottom side of clamping fixture table, which can enable this holing machine to hole in batch (due to a great number of pearl powder will be produced when pearls are holed in batch, then working progress piece inside clamping fixture table is easily blocked) without cleaning out pearl powder chips regularly, thus ensuring a long-term normal use of the holing machine. ÃƒÂ¢Ã¢â€šÂ¬Ã‚Â? 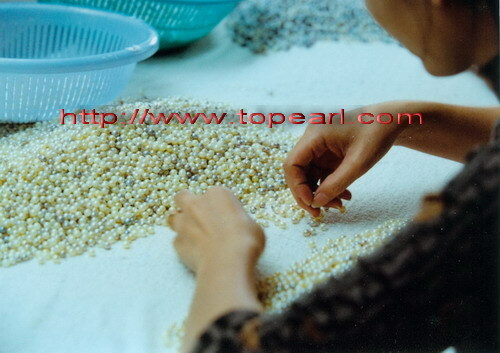 Control collect and rotation of pearl by using rotary handle, easy and highly efficient. ÃƒÂ¢Ã¢â€šÂ¬Ã‚Â? Small and min design, light in weight, beautiful outlook, suitable to be used at any workshop. ÃƒÂ¢Ã¢â€šÂ¬Ã‚Â? YDK motor from Japan is present at the quite & noise free, safety and long lasting.